Cooler Master has launched its Silent Pro Hybrid (SPH) series of power supplies in India, built to take on heavy workloads. The new Silent Pro Hybrid PSUs have a new ‘fan-less’ operation feature, as well as a discrete user control unit for on-the-fly adjustment. The Cooler Master Silent Pro Hybrid series is supposedly the first to incorporate the ‘fan-less’ operation feature, which allows it to power down the power supply fan completely at loads under 200W. 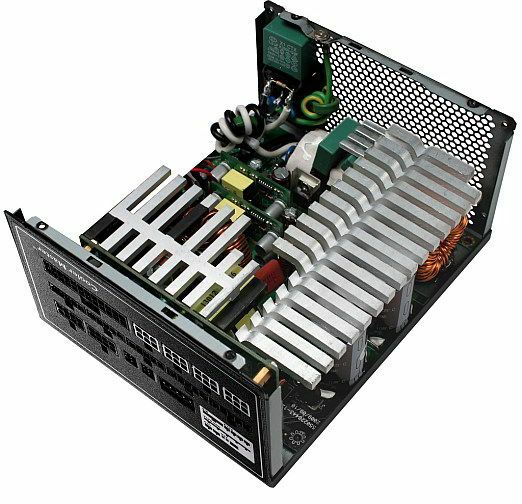 It features an integrated 7V fan power port and the 5.25-inch drive bay fan controller module, allowing it to directly power its fans without straining the motherboard. This direct connection between power supply and fan controller also inspired Cooler Master to provide a control unit to the user, allowing for live adjustment of 135mm Super Silent Hydraulic Bearings power supply fan, along with an Auto option. The Cooler Master Silent Pro Hybrid series PSUs also features a fully modular cable system, allowing users to select their own cables for their cabinets, for efficient cable routing. Other features include 80Plus Gold certification, support for 4-way SLI/CrossFire and dual CPU, Japanese capacitors, and multiple protection circuits (MTBF 100,000 hrs reliability). 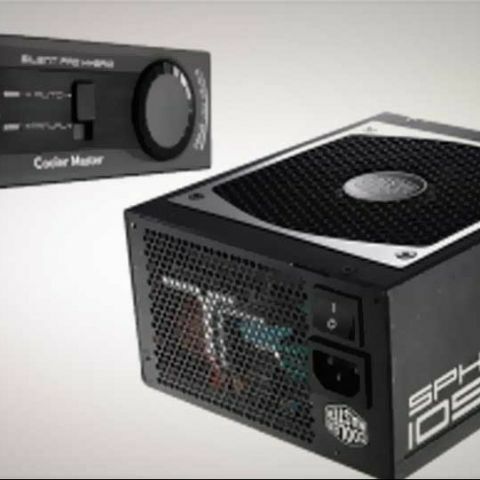 While three PSUs were announced – Cooler Master SPH-850W, SPH-1050W and SPH-1300W, as of now, only bigger two will be available in India – for Rs. 18,000 and Rs. 20,000 respectively (MRP), shipping with five year warranty. The Cooler Silent Pro Hybrid series can be sourced in India via Acro Engineering Company.